The BJP acted true to form as well, just as it had in Goa and Bihar and other states where it failed to get enough seats of its own. Call me a cynic if you will but anyone outraging about the death of morality because of the shenanigans in Karnataka has got to be unbelievably naive. Also, in this whole sordid affair, no one is going to come out smelling of roses... quite in fact, the opposite would be true. 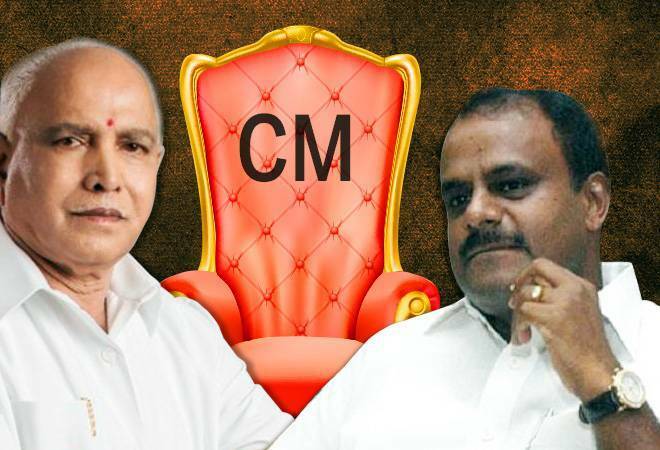 And finally, no matter what is the final outcome, I predict Karnataka will see a pretty unstable government with the chief minister so busy trying to keep his flock together that he will have no time for governance. Take the whole brouhaha about morality first. I do not know why, after seeing politicians of every hue focusing solely on self-interest for so many years, people still get surprised when they act true to form. As far as I can remember, we have had MLAs and MPs changing parties if they have been offered enough inducements. It also led to the Anti-Defection law being passed in 1985, though it left plenty of loopholes and wiggle room for parties and political leaders. Even otherwise, one has only to see the affidavits filed at the time of elections to realize that most leaders fighting elections are not exactly model citizens. Many have multiple criminal cases against them. A huge number of politicians have changed parties multiple times. And most see their assets jump disproportionate to their known income sources, when they have to report it every five years when they stand for elections. In most states, the BJP has wooed away leaders from other parties who they feel are capable of winning elections. The Congress and other parties try to do the same though they are not very successful currently because they have been losing elections for a long time. Meanwhile, in Karnataka, the Congress and JDS, which had fought against each other, suddenly found new love when each failed to win enough seats. The BJP acted true to form as well, just as it had in Goa and Bihar and other states where it failed to get enough seats of its own. And ranting at the governor makes no sense because all of them have a wide leeway in deciding who they want to invite first to form a government or even the amount of time they want to give to the new chief minister designate to conduct a floor test. The second point is about supporters of both parties accusing the other of murdering democracy. Actually, in terms of being opportunistic, there is little to choose between the parties. The Congress and JD(S) tried to do to the BJP in Karnataka what the BJP had done to the Congress in states like Goa. In turn, the BJP had learnt its tricks from what the Congress party had done in earlier times... so all players look equally bad, though it might be fair to say that some are less bad than others, depending on which side of the divide you are standing on. But the Congress and JD(S) cannot claim to be the injured party here while BJP cannot claim to be the party with a difference. They all smell the same if you close your eyes. Finally, I believe that whoever wins in the end will form an unstable government until the next elections are called. That is because if the BJP manages to wean away 8 or 9 MLAs from the Congress or JDU, it will have to keep them happy and make sure that they do not get disgruntled and walk away because they think they have not been adequately rewarded. It will also have to contend with unhappy BJP MLAs who may wonder if it wouldn't have been better for them to win from another party and then negotiate with BJP... after all, why should they not share in the spoils. The BJP will be so busy in keeping its flock happy that it will have little time to govern. The same applies to the JDS-Congress combine if it manages to form the government finally (which looks somewhat difficult at the moment). It might form the government but all its energies will be focused on keeping the MLAs happy and making sure they are richly rewarded. Not in governing. If Karnataka was hoping for a government that would work for the benefit of the people, it is bound to be disappointed, no matter what the final outcome. Flipkart deal: What is Walmart getting out of the bargain?